Select Robitussin, Dimetapp or Advil sinus congestion & pain (excludes all products with pseudoephedrine or ephedrine) Free! 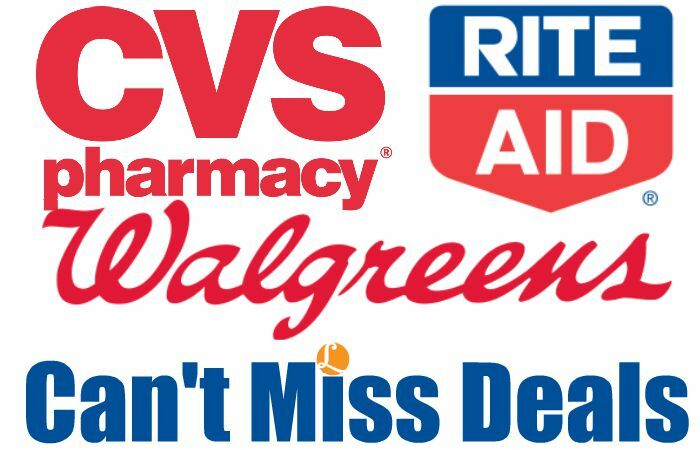 Get a Save $3.00 when you buy any ONE (1) Dimetapp®, Children’s Robitussin®, Children’s Advil®, or Infants’ Advil®..Expires 11/11/2018.Save $3.00. Colgate Toothpaste, select varieties – $3.99 Free! Get a Save $1.00 on any TWO (2) packages of Dixie Ultra® or Dixie® Everyday Plates..Expires 12/4/2018.Save $1.00. Get aSave $1.50 on any ONE (1) package of Sparkle® Paper Towels, 6 rolls or larger..Expires 12/4/2018.Save $1.50. Robitussin, 4 oz or 20 ct – $5.99 Free! Russell Stover Holiday Singles, 0.875 – 1 oz – 2/$1 Free! Suave Professionals, Kids, or Stylers – 2/$5 Free! Kleenex Facial Tissue Singles Just $0.74 at Walgreens!